How to install apps to iPhone, iPad and iPod Touch without iTunes? Home » How to install apps to iPhone, iPad and iPod Touch without iTunes? 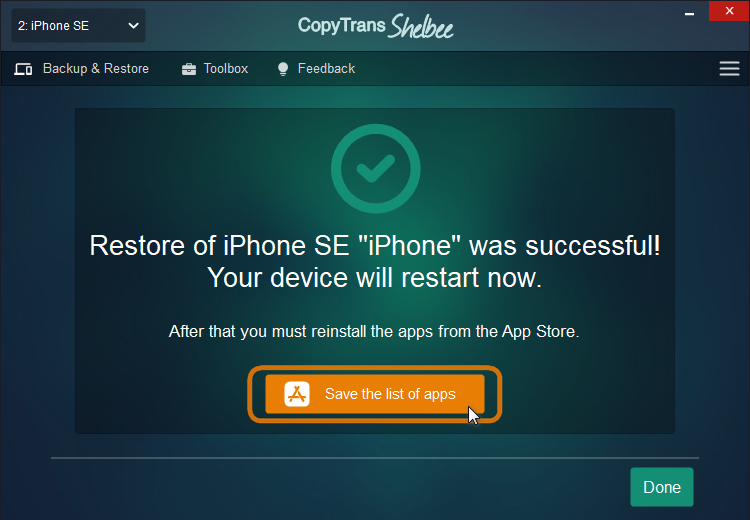 The following step-by-step guide demonstrates how to install apps on iPhone or iPad along with corresponding app settings and documents via CopyTrans Apps and CopyTrans Shelbee. The methods are independent of iTunes and iCloud which allows full control over what apps and app preferences to install on the iPhone. 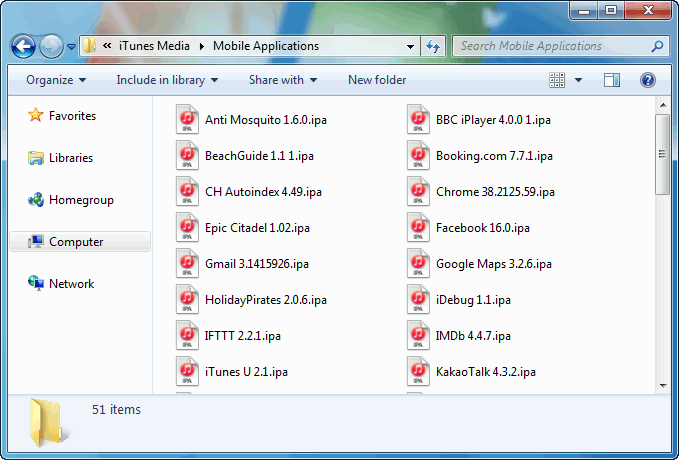 It comes in handy when transferring apps of your choice from one iOS device to another. Install the program. 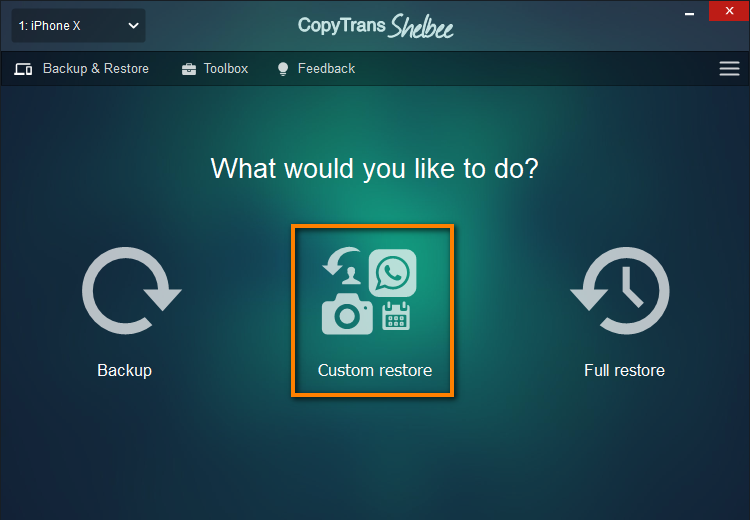 If you need help installing CopyTrans Shelbee, follow the installation guide. 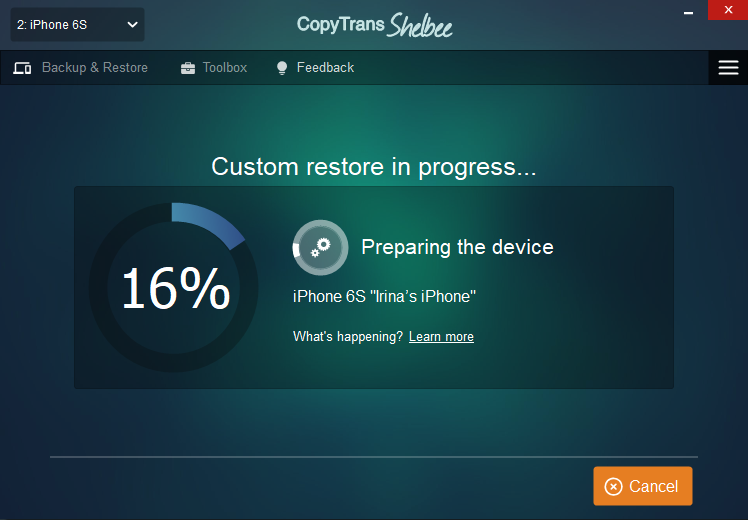 Start CopyTrans Shelbee and connect the iPhone via the USB cable. Click “Custom restore”. Select the backup you wish to install the apps from. If you don’t have the backup of your iPhone, here’s how to make a backup. 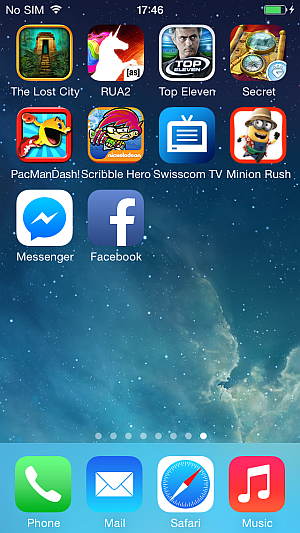 Select the apps you wish to install on your iPhone and click Next. Please note that the data you selected will be overwritten on the new device. For example, if you want to restore contacts from backup, the contacts on the device you are restoring to will be overwritten with the ones in the backup. 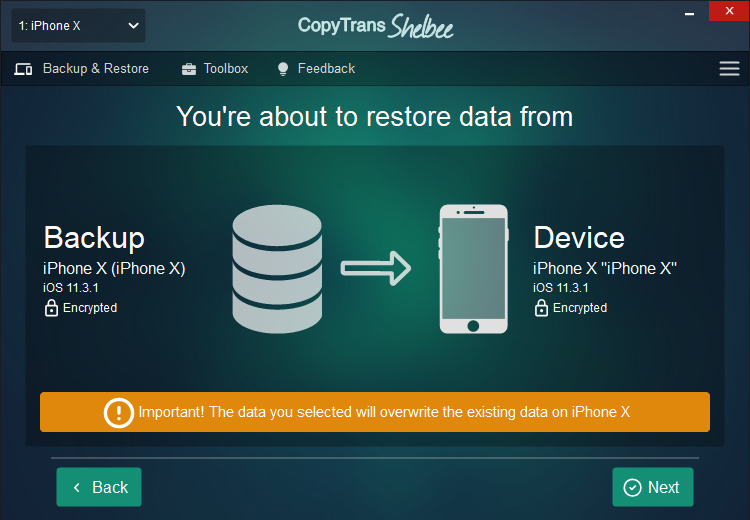 Now CopyTrans Shelbee will ask you to choose where you want to save the backup of your device in case something goes wrong during Custom restore. Select the destination and click “Start”. 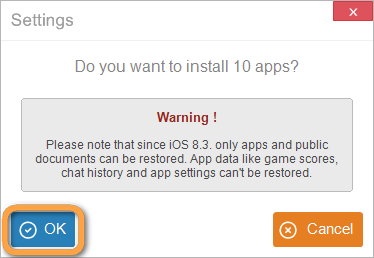 After the process is finished, proceed with redownloading the apps from the App Store. All your app data like settings, game scores, etc. will be saved. Install the program. 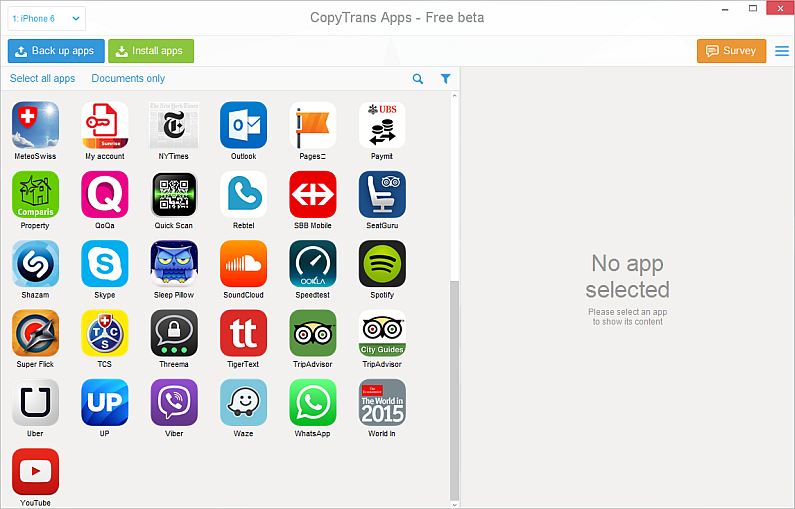 If you need help installing CopyTrans Apps, please refer to the installation guide. NOTE: If you previously used CopyTrans Apps to back up iOS apps and app preferences as described here, select the corresponding IPA backup files. 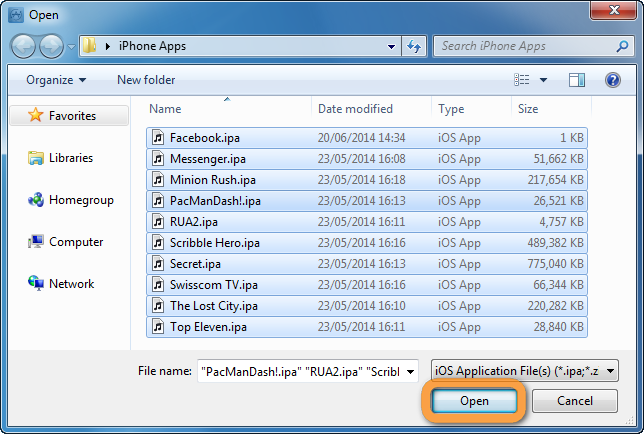 In the same way, you can install apps to iPhone via using the IPA files located in, for example, your iTunes “Mobile Applications” folder. TIP: Clicking on the “Options” symbol allows you to control what app components are installed on the iPhone such as app documents or only the application file. The apps of your choice along with their app preferences and documents appear on the iPhone.